It has been a while since the dailyspec discussed the potential for mayhem in the Straits of Hormuz. So far, the greatest threat to American interests has come from our own Navy. It has been nearly 4 years since the USS Hartford collided with the USS New Orleans. The "accident" injured 15 sailors; the repairs to both ships cost over $100M. 3. The ship's navigator was not plotting the ship's course but "doing something else, while listening to his iPod"
In total there were 30 errors in procedure. 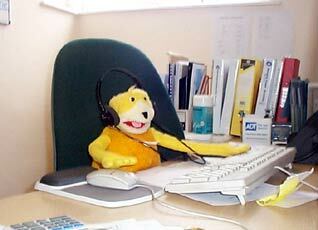 Complacency and sloppy work are very difficult to control after they have taken hold of a work group. The proper place to kill them is in early training. People who are responsible for large numbers of other peoples lives and/or for highly valuable property need to be trained in active vigilance early in their careers. Unfortunately, safety is a boring topic to most — it lacks the intrigue of the higher mission, it lacks the luster of fancy technical gadgetry, and because it is something that has to be practiced with diligence day in and day out, at all times, it is difficult to keep at it. But safety and its execution is absolutely essential to any complex operation. Organizations and systems that require precautions have to inculcate a culture of safety and then impress it into their people regularly. It can never be treated as a one off training item and then checked off as completed, it has to be pressed, again and again and drilled into the subconscious so that it comes automatically. Active surveillance, much like active listening, is a skill that requires practice to master. 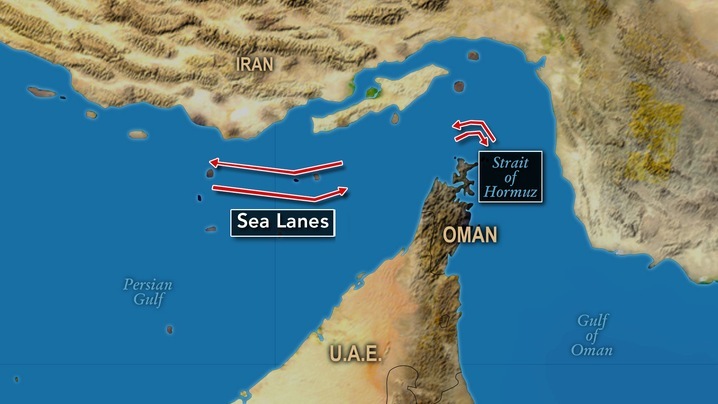 I suspect that in the crossing of an active shipping lane like the Straits of Hormuz, that submarines use active sonar, but I have no idea how frequently they ping. Probably on the order of once every two or three seconds, much more than that and there is insufficient time to capture reflected signals without interfering with them. The point is that an operator, especially at a time that requires extra vigilance — like surfacing, needs to actively direct his attention to his equipment and scan for threats at least once every three seconds. While this sounds easy enough, it requires a great deal of will and energy. Distractions constantly compete for attention and need to be reduced. Again, training is the only way to control this and create an environment that rewards attentive execution of duty and punishes the creation of distractions and sloppy behavior. I suspect that if the navy chose to drill procedures in vigilance and active surveillance as often as they train for emergencies or attack maneuvers, the frequency of these incidents would be dramatically reduced. Excellent stuff on complacency, but "culture of safety" might be too strong a goal for any place in the military. It's true that the Navy is the service where war most closely resembles peace. Most naval ships in WWII saw only a few hours of combat over the years' duration. Day-to-day operations were quite similar to peacetime ops, with the environment (including friendly ships) being the principal enemy. But the few hours of combat were the whole point, and it seems to me that safety must not be so deeply ingrained that it cannot be easily discarded when the necessity arises. Western navies nowadays are dealing with decreasing budgets, changing operational scenarios and threats, issues in recruiting and retaining the professionals they need. All these factors are tightly linked. The level of ambition of naval forces is questioned in terms of requirements and capabilities needed. The threats is different from what it was at least two decades ago and attention is growing mainly for maritime security tasks. Hard to justify expensive investments to develop complex and futuristic weapon systems. For sure maintaining the fleet efficient and effective is tough at times when navies are struggling not to reduce numerically their fleets below critical thresholds. Recruiting highly skilled professionals and most of all retaining them is also critical. They need to find a motivating environment that meets their expectations. Innovation and technology are allowing the reduction of manning on board ships and submarines in order to achieve the compression of operating costs. This is also introducing risks because each member of the crew has more tasks than in the past to perform and no redundancy. On the job training and management of emergencies are issues to deal with. More focus over the past years is on modelling & simulation to train crews ashore although any sailor knows that these solutions cannot fully replace experience gained at sea. Some have questioned the extent of manning reduction that was envisioned as acceptable only a few years ago based on lessons learned developed on new constructions. The quality of training is key as days at sea spent each year tend to decrease. Incidents are the expression of this situation. Training concepts and processes have to change and adapt rapidly to this environment. As budget and personnel decrease, this is the challenge of this decade. The object of Gilbert's satire is not so much the person of publisher and politician W. H. Smith as the system that in essence de-professionalized command positions in the British armed forces, and promoted those with wealth and political connections rather than military ability. Thus, Gilbert was in effect attacking the long-standing aristocratic tradition of purchasing commissions. Instead of "serving a term" as a midshipman (which was the conventional route leading to officer status and ship's command), Sir Joseph has taken a strictly political route to the Admiralty. But then that makes for a more urgent article, then, doesn't it? My whole point is that these people are professionals and should be behaving like professionals. They are in positions of responsibility and need to act as such. There is a tremendous amount of self validation that comes with knowing that you know your business and that you act accordingly. People that understand this arrive at work with their heads held high and don't just talk the talk but actually walk the walk. They don't feel entitled to anything unless they've earned it themselves. This is the kind of behavior and path to self esteem that needs to be engendered. It is not about safety, per se, probably a bad choice of words on my part. It's about being a professional, about being an expert. And about wanting to be those things. It's about knowing what needs to be done and doing it properly, correctly and without fail.